As the only Concierge Realtor in Sedona, Joy has the ability to take her clients from stepping on to the Red Rocks of Sedona all the way to a post purchase day of shopping. Everything that a Concierge will do for you, in a high end Resort, Joy will do for you from the moment you meet her on the phone, online or in person. For more information on her Concierge Services, call her personally. 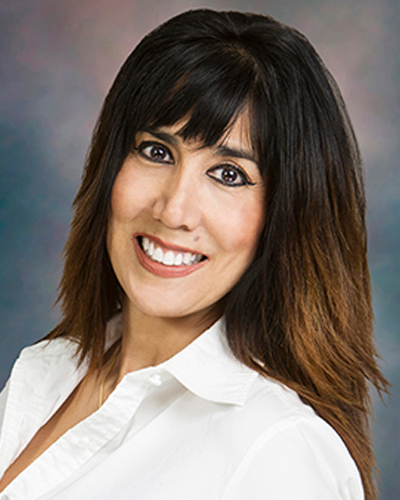 Joy has her Bachelors Degree in Sociology, from the University of California, Santa Barbara, which greatly assists with the psychological aspect of negotiations in the Real Estate process. After College she got married, and had her beloved son Tristen Michael, and a few years later, she moved to Sedona to raise him. Wanting to raise her son, and be present as much as possible, she chose careers, where she could work her own hours, and spend as much time with him as possible. From 1996 until 2012, she worked in a few capacities. In 1996 she began work as an Agent and Publicist for top Filmmakers. During her film career, she has had the pleasure to work closely with dozens of the industries finest, such as Tom Hanks, Sam Raimi, Jeff Bridges, Jack Nicolson, Robert Downey Jr., and many more. During those years, she honed her skills in crucial negotiations, which unquestionably has served her Real Estate clients well. From 2003 – 2008 she was a Realtor, and then a Designated Broker for her own firm. In 2008 she left Sedona, took some time and lived in Malibu, and then moved to North Carolina in 2011, to work as a volunteer patrolman for the Raleigh Police Department. It was there that she received the President’s Volunteer Service Award from President Obama, for over 500 volunteer hours for her service in Law Enforcement. She found a keen interest in the law, so to further expand her knowledge of the law, she attended Duke University to obtain her Paralegal Certification, and since then has worked as the Legal Assistant for the Coconino County Attorney. As of recent, she has become one of only 1,200 (less than .01% of all Realtors in the Nation) that have gone to an Accredited Real Estate Negotiation school and received the highly Coveted, MCNE: Master Certified Negotiations Expert Designation, in December 2015. With this Designation, she not only has the Accreditation of being an MCNE, but the specific tools to work in the Real Estate industry to the best of her ability, in assisting her clients to achieve their goals, and get exactly what they need. Joy served as the Fire Commissioner for the Sedona Fire District for the term of 2004 – 2008 (Elected Official). She has also volunteered for the Northern Arizona Chapter of the Red Cross, The Boys & Girls Club of the Verde Valley, Special Olympics of Southern California, and in 2011 – 2012 as a vetted volunteer Patrolman for the Raleigh Police Department. Additionally, she has also served as a member of the SVVAR education committee, and was a licensed Substitute Teacher for the Cottonwood School District. Currently, she is a Eucharistic Minister for the St. John Vianney Church in Sedona, and is working toward working along with the Arizona Association of Realtors (AAR), to become an Ombudsman. Joy began her Real Estate career in 2003, where she was drafted from Real Estate school into Coldwell Banker First Affiliate by its owner. The next year, she was convinced to join Re/Max Sedona by its owner at the time, Joel Gilgoff. It was at Re/Max Sedona where grew as a solid agent, and won several awards for sales, obtained her status as an Accredited Buyer Representative and later as an Associate Broker. In 2006 she purchased Assist 2 Sell Sedona Buyers & Sellers Realty, and was the owner & Designated Broker of that brokerage until 2008. After 21 years in Sedona, Joy is very well connected in the area, and now enjoys working full time with Russ Lyon Sotheby’s International Realty. Along with a wealth of knowledge and experience, she is ready to work ONE ON ONE with you in your next Real Estate transaction, whether it is buying the home of your dreams, or selling your home or income property. As an integral part of the Russ Lyon & Sotheby’s International Realty team, Joy will market your property with the highest quality and exposure afforded to the Russ Lyon Sotheby’s International Realty clients. The value of the Russ Lyon Sotheby’s International Marketing Plan is immeasurable, as you will see online on the following link: http://www.russlyon.com/sellers.html . It is with Russ Lyon Sotheby’s International Realty and Joy, where you will find an effective and thorough plan, to market your property to the widest buying audience. You will be impressed at the extent of quality marketing that utilized to give your property the maximum exposure on dozens of websites including Realtor.com, Trulia.com, Homes.com, HomeFinder.com, Real-Buzz.com, Zillow.com and many more. From Social Media, Mobile Apps to our own site, you will have the maximum exposure to appropriately market your property 24/7. Joy will work directly with you to obtain the highest price for your property, and make the process as comfortable and pleasurable as possible. Her negotiation skills are top notch, and she will make sure that you are not just properly represented, but given the highest level of service in your transaction. From open houses, to the close of escrow, you will be in great hands with Joy. 24/7, she will be there for YOU. If you are interested in receiving a free home valuation, I encourage you to fill out my free home valuation form. As an Accredited Buyers Representative (ABR)since 2005, she is highly qualified, and will represent you to the best of her ability. She will keep you well informed during the entire process, and deliver the highest quality of service that you should expect from an Accredited Buyer Representative. Joy will work directly with you, to secure exactly what you require in a home or in a piece of land. Your time will not be wasted, showing you properties that do not meet your criteria. Joy will sit down with you, listen to your needs, and show you properties that meet your criteria, and in the end you will have just what you dreamed of….but that is not where it ends! If requested, Ms. Moore will work with you to get you the information that you will need to take care of your home, find home care professionals, direct you to the local grocery store, and even help you find the best Italian food in town! Joy will always make you feel at home, she wants to be your Realtor for life. Please fill out my Dream Home Finder, and let’s get started!